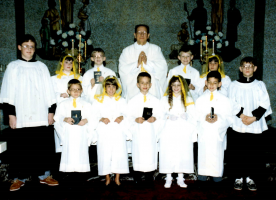 Our Lady Queen of Angels Parish, as it is known today, was established on October 6, 1999, as a response to the challenges of changing demographics and priest shortages in our area. While the parish is less than twenty years old, our history goes back much further. Our Lady Queen of Angels was created when Sacred Heart of Jesus Parish (Polish) and St. John the Baptist Parish (Slovak) were merged. The product of a deeply ethnic community and a town centered on coal mining, the roots of both former parishes were rich with faith, family life, Church life, traditions, and customs. Over the last fifty years, the area has undergone overwhelming change with the loss of the coal industry, families moving on, and a region with financial struggles. While Our Lady Queen of Angels has been battered by many storms, our Catholic roots run deep in fertile ground tilled by those who have gone before us. As a parish, we are at the crossroads of a historic past and a hopeful future. Engaged in a challenging present, we are convinced that the mystery of Jesus Christ’s life, death, and resurrection unfolds within human life. We are heirs to the ethic people who were defined by a deep faith and a strong work ethic. While many things in life change it is good to know that the faith we profess is “ever ancient and ever new.” These things of faith were cherished by our ancestors, and by us today. As a people seeking a profound sense of the sacred and allowing that to permeate our lives with a renewed faith, our parish remains true to its mission – Instaurare omnia in Christo – To renew all things in Christ. Msgr. Wadas with a group of Sacred Heart altar boys. 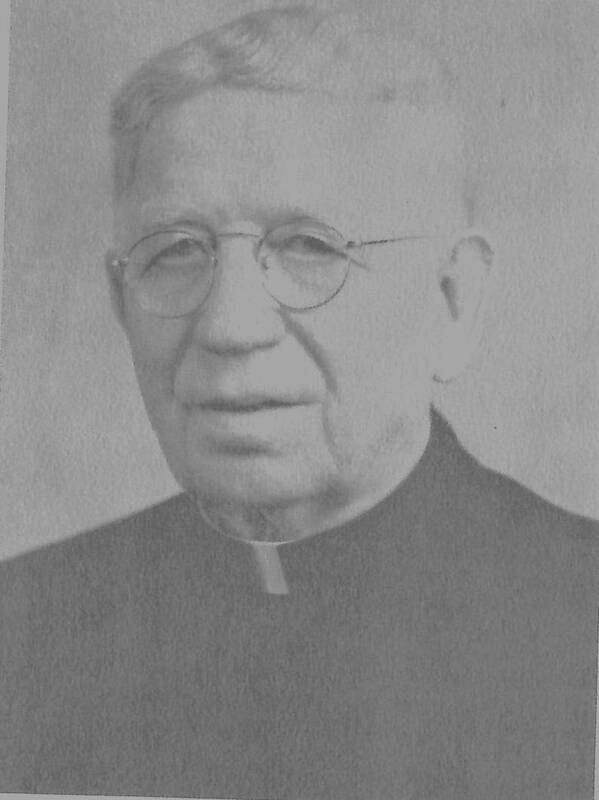 Father Joseph A. Wozny, pastor of Holy Family Church in Hooversville, began ministering to the needs of the Catholics in Central City beginning in 1914. 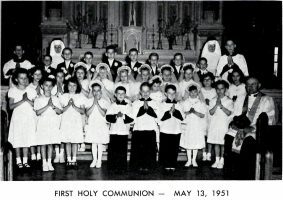 Holy Mass was first offered in the Kudasik home on Lohr Street and in a private home in Cairnbrook. 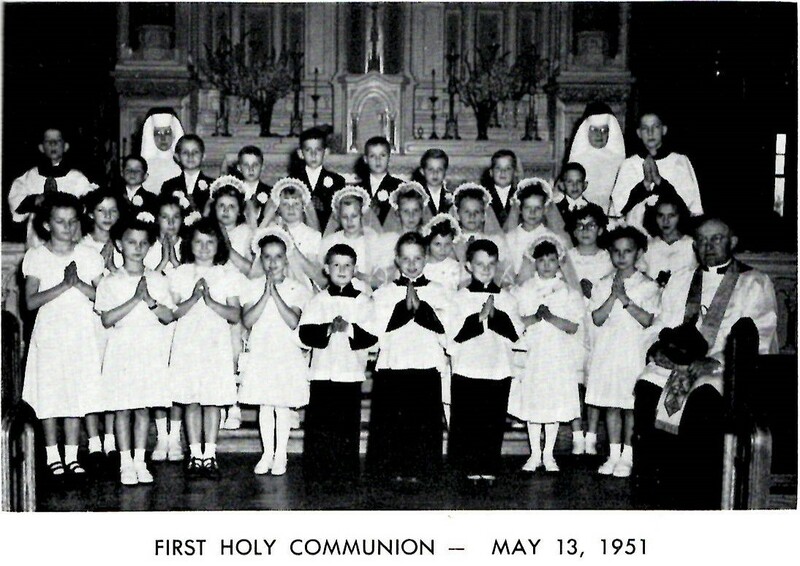 As the attendance at Mass increased, the Holy Sacrifice was offered occasionally on Sundays at Widomski Hall on Lohr Street. With the arrival of immigrant workers in the area, the number of Catholics in Central City continued to grow. In July of 1916, Bishop Garvey, first bishop of Altoona, appointed Father Ignatius Pilz as the first resident pastor of Central City. Father Ignatius M. Pilz was born on July 31, 1876, in Gasiorowie, Poland. At the age of eighteen, he entered the Salesian Order and pursued his studies for the priesthood initially in Italy, and eventually in Chile where he was ordained in 1909. 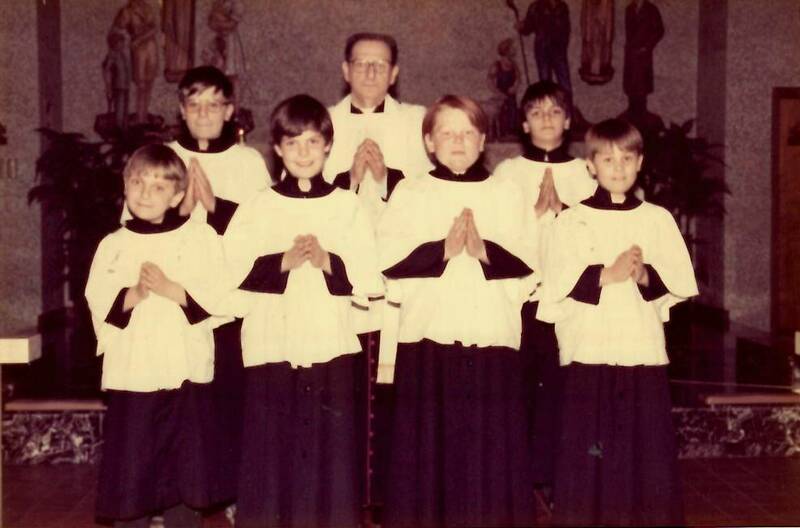 Two of his brothers, Fathers Francis and John, were ordained prior to his ordination. After a number of assignments in the Salesian missions in South America, he returned to Poland in 1911 to visit his dying mother. After his mother’s death he intended to return to Chile, but was unable to do so due to the ship being overcrowded. The ship, The Umberto, later sank on its way losing all onboard. While at home in Poland he received a letter from his brother Father John, then pastor of Our Lady of Mt. Carmel Parish in Lilly, Cambria County, informing him that there was a great need for Polish speaking priests in the United States. In May of 1912, Fr. Pilz arrived in the Diocese of Altoona, and after a number of assignments was appointed pastor of the newly established parish in Central City in 1916. Arriving by train at the Carinbrook station, he began his long tenure in Central City on July 15, 1916. After disembarking the train, he made his way to a hotel on the corner of Sunshine Avenue and Main Street where he was received roughly by an elderly lady who refused him lodging. At a loss for what to do, he called at the nearest building which happened to be a blacksmith shop where he met John Sesack, who informed Father Pilz, much to his surprise, that there was neither a church nor a rectory in Central City. Mr. Sesack then took Father Pilz to the home of Walenty Sutyla on Ash Street. It appears that Father Pilz spent one night at Widomski’s house, two nights at Sutyla’s, and then moved to Joseph Sobieski’s home which was then in the process of being built on Main Street. Mr. Sobieski kindly let Father Pilz live in one room and he boarded there for almost a year and a half. After that, Father Pilz lived for six months in the sacristy; and after that, six rooms were rented at the Bielski home on Oak Street until the rectory was built. 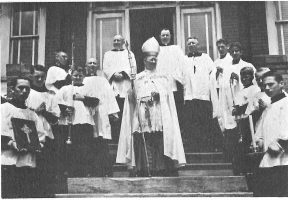 Father Pilz offered his first Mass in Central City at Widomski Hall on day after his arrival, July 16, 1916. After Mass, accompanied by Joseph Widomski, he took up a census. He counted eighty-three families and forty-one single adults. The following week, it was announced that the new parish would be called Sacred Heart of Jesus. Kind, but firm, Father Pilz helped to guide the parish through its difficult early years. Divisions and arguments as well as a lack of funds, plagued the parish. 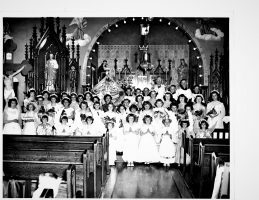 While the congregation was primarily made up of Polish immigrants, there were a significant amount of Italians in the parish as well. Fortunately for the non-Polish parishioners, Father Pilz was conversant in Polish, German, Spanish, English, and Italian. As was stated earlier, when he arrived in Central City Father Pilz was led to believe, by way of rumor, that a church and rectory were already built and ready for occupancy. He arrived to find neither. Almost immediately, he began to lay plans for a new church and hired Johnstown architect, W.R. Myton. However, due to disunity among parish factions, debt-limit-restrictions, and World War I building restrictions, the plans had to be greatly simplified. Due in part to lack of funds and available manpower, Father Pilz himself, using pick, shovel, and wheel-barrow, helped dig out the church basement and foundation. While still an incomplete shell, the modest church was first used for Mass for the first time on December 25, 1916. The completed church was dedicated by Bishop Eugene Garvey on May 23, 1917 and would serve the parish until 1968. Further issues surrounded the construction of the parish rectory. Building restrictions, difficulty in obtaining materials, and hesitancy of the bishop to allow Father Pilz to go further into debt held up construction until 1920. The hesitancy of Bishop Garvey prompted Father to build the rectory with his own personal funds. 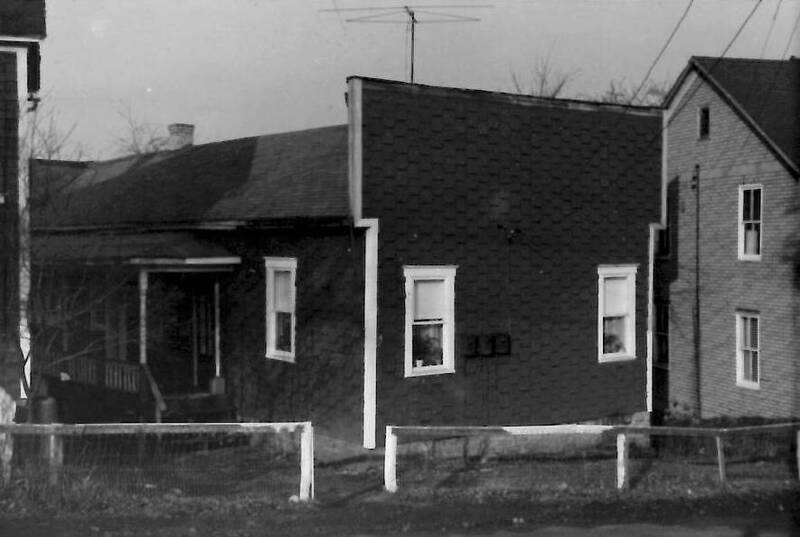 Until 1961, when he donated the house to the parish, Father Piz owned the rectory in his own person. A lack of funds also affected the construction of a parish school. While a school building was purchased in 1924 from the Central City School District, the deep debt of the parish kept it from opening. 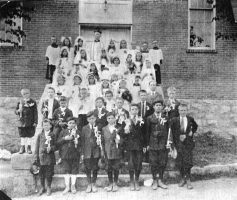 For fifteen years the parish mightily tried to establish a parochial school. During this time the school building was used as a shelter during a coal mine strike that saw many families evicted from their company owned homes. However, a mounting debt and a lack of teaching sisters (and a convent to house them) determined the school would never become a reality. The school building was sold in 1937 to the United Mine Workers for their union hall. Father Pilz would remain as pastor of Sacred Heart of Jesus Parish for fifty years. During his long tenure he also served as pastor of Holy Family Parish in Hooversville from 1919-1920, and again from 1939 until 1946. 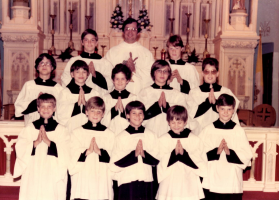 As Father Pilz aged, the parish received three assistant priests including Fr. Ignatius Wadas who would eventually succeed Fr. Pilz in 1966. (Serving the parish as Assistants were Fr. Ignatius Wadas 1955-1959, Father Francis Zywicki 1959-1961, and Father Bernard Przybocki from 1961-1966). In January of 1966, Father Pilz retired and assumed the role of pastor emeritus. Father Pilz died on October 7, 1968 at the age of ninety-two and is buried with his older brother, Father Francis, at St. Mary Cemetery in Gallitzin. Following the retirement of Father Pilz, the parish received its second pastor, Father Ignatius Wadas. 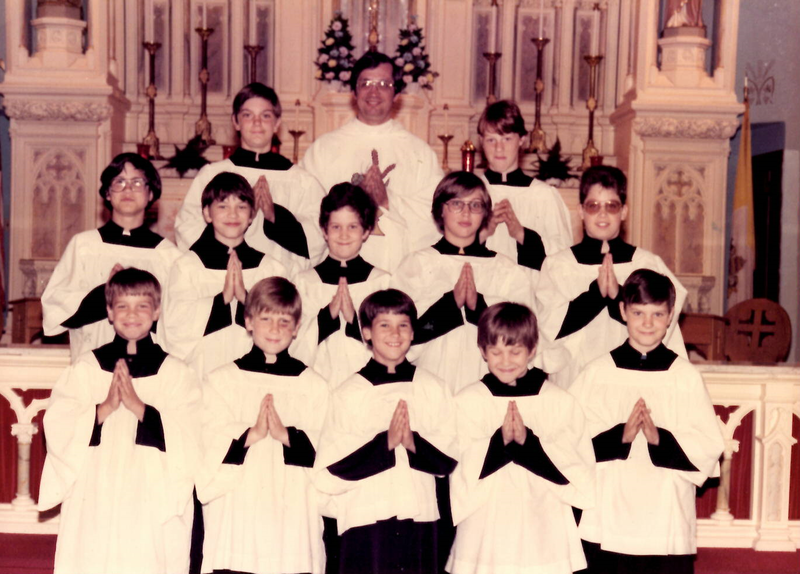 The ninth of ten children, Father Wadas was raised in Nanticoke, Pennsylvania. A veteran of World War II, he entered Mt. St. Marys Seminary in Emmitsburg, Maryland after his military service and was ordained in 1953. Shortly after arrival, Father Wadas began plans to construct a new church building. Construction of the new Sacred Heart of Jesus Church began in May of 1967. The new church was dedicated on January 7, 1968. In 1971, mosaics were installed on the sanctuary walls that feature a coal miner, a nurse, a farmer, a mother, a professional, Shade High School students, and an astronaut. These mosaics, unique and memorable as they are, help to capture the “universal call to holiness,” the teaching of the Church that all people, no matter what their state in life, are called to holiness. Strict, but with a good heart, Father Wadas spent thirty-seven years of his priesthood in Central City. 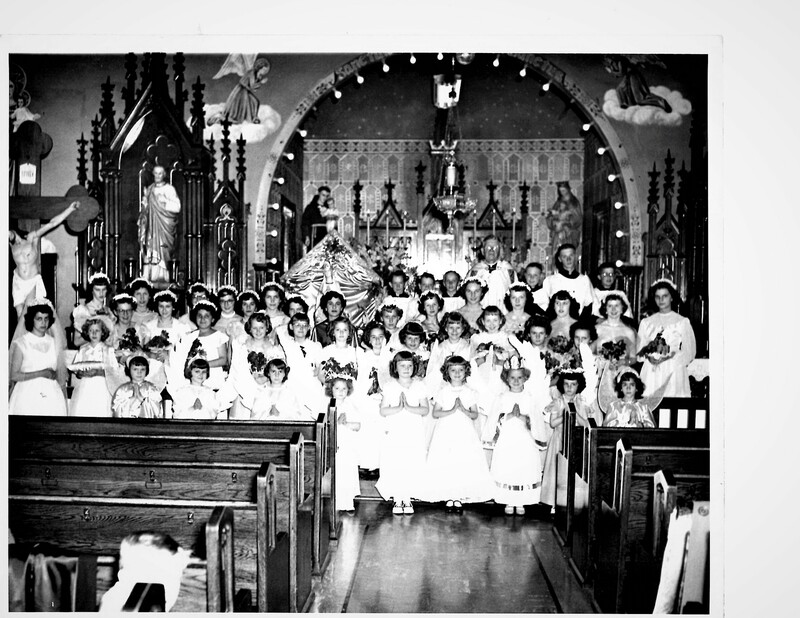 These were the days of the Tuesday night Miraculous Medal Novena, legendary May Crownings, Lenten Lamentations, roses on Latarae Sunday, and scores of altar boys at the 8:00 AM Mass. Daily Masses had an organist and altar boys knew to be on time. Beginning in 1974 and continuing for many years, the 8:00 AM Mass from Sacred Heart Church was broadcast on the radio at 101.7 on the FM dial. It was during this time that Father Wadas was named a Prelate of Honor with the title Reverend Monsignor. A wise administrator of financial matters, the parish not only built a new church under his guidance, but also a new hall, and at the time of his retirement was in excellent fiscal condition. In September of 1982, the original Sacred Heart of Jesus Parish was demolished to make way for the parish activity center. The large new hall and classrooms were only made possible through the hard work and generosity of many dedicated parishioners. Throughout the 1980s and 1990s, as Central City’s population began to fall, the parish remained a place of great stability and strength. In 1990, at the age of sixty-eight, an age when most people are entering the retirement phase of their lives, Monsignor Wadas was given the additional responsibility of being pastor of St. John the Baptist Parish while remaining pastor of Sacred Heart of Jesus Parish. He retired in 1998 and died on September 21, 2012 at the age of eighty-nine. He is buried in Sacred Heart of Jesus Cemetery in Central City. Sacred Heart of Jesus Parish was a made up of a community of people who were deeply rooted in the rich tradition of Polish Catholicism. Near the entrance of the church is a plaque that has the words of the Polish mystic St. Faustina Kowalska inscribed upon it, “Jesus, I trust in you,” words that helped to define the dedication and devotion of the people of Sacred Heart Parish. 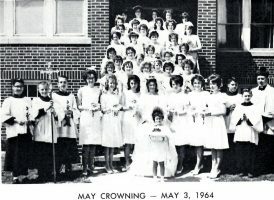 While the parish was merged in 1999, the devotions and deep reverence that were long part of Sacred Heart Parish built a firm foundation that enriches and strengthens the Our Lady Queen of Angels today. The origins of St. John the Baptist Church begin with the immigration of Slovaks to Central City, Carinbrook, and nearby coal “patches.” While the first Slovaks in the area initially attended Mass at Sacred Heart of Jesus Parish, their numbers grew to the extent that in 1917 the need arose for a parish of their own in Central City. Construction of the second Catholic parish in Central City began in July of 1917. In October of that same year, Father John Lach, then pastor of SS. Cyril & Methodius Church in Windber, celebrated the first Mass at St. John the Baptist Church. The simple frame church was dedicated in June 1913 by Bishop Eugene Garvey, first bishop of Altoona. St. John’s continued to be attended as a Mission from Windber until 1920. In June of 1920, Father Michael Zamba was assigned as the first resident pastor of St. John’s. Father Zamba’s tenure was brief, lasting only two months. Father Michael Kallok succeeded Father Zamba at St. John’s. Born in Oci Suchi, Slovakia and ordained in 1919, St. John’s was Fr. 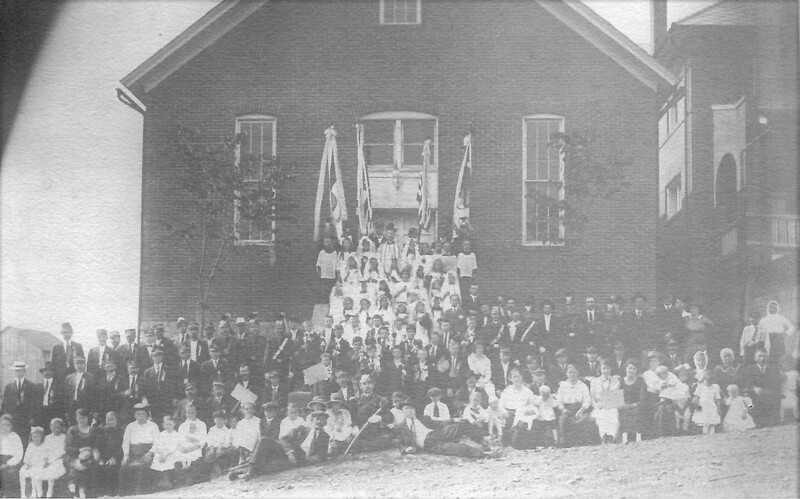 Kallock’s first pastorate, arriving less than eight months after his ordination. 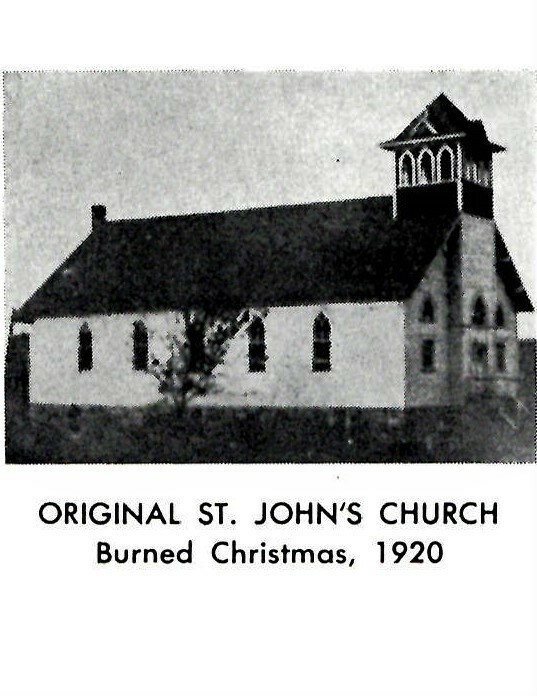 On Christmas Day 1920, four months after his arrival, the church building was completely destroyed by fire. The fire was discovered about 3:30 PM; however, the absence of fire-fighting facilities made it impossible to contain the fire. The origin of the fire remains unknown however it is believed to have started from a defective switchbox. While the church, was on fire a parishioner, Joseph Yantus, braved the flames and was able to save the Blessed Sacrament from the fire. Young and ambitious, Father Kallok told the congregation that a new church would be built to replace the one destroyed by the fire. During construction of the new St. John’s Church Mass, was celebrated in nearby Sts. Peter and Paul Church. 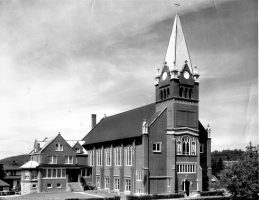 Rising from the ashes, the new St. John’s Church was built between 1921 and 1922 at an estimated cost of $100,000. According to records, the parish acquired the stone and materials from the Reitz Coal Company, steel from the Cambria Steel Company, the bell from the McShane Bell Foundry of Baltimore, and the gothic altars, communion railing, and statues from the Daprato Studios of Chicago. With the church not yet completed, Fr. Kallock was replaced in March of 1924 by Fr. Joseph Banik. 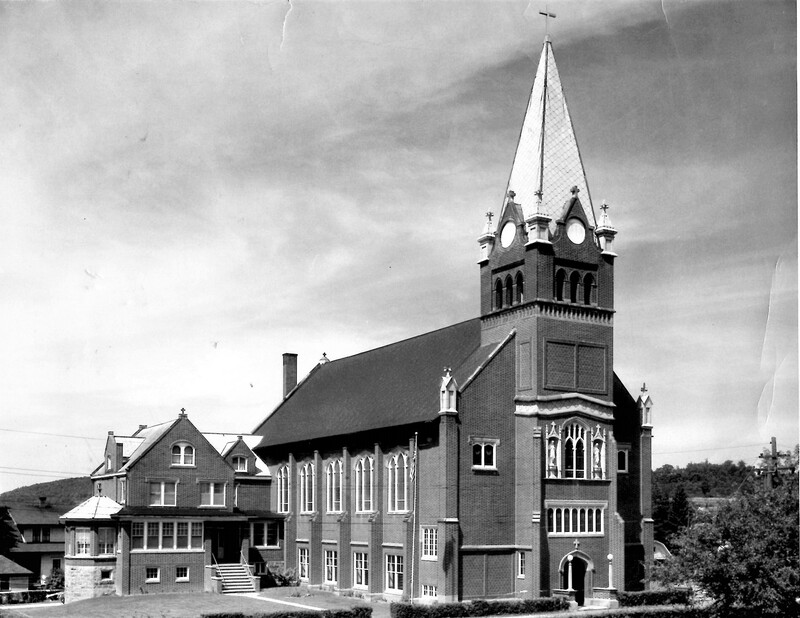 Father Banik oversaw the completion of the new church which was dedicated on July 3, 1927 by Bishop John McCort. It was during this time that the parish sponsored a championship baseball team in the National Jednota League. From 1933-1944 Father Banik served as a national chaplain of the First Catholic Slovak Union of America (Jednota) —the largest Slovak fraternal organization in the world. 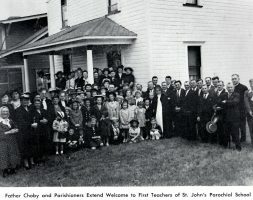 After the brief pastorate of Father John Olex, in August of 1939 Father Anthony Choby, a native of Patton, Cambria County, was named pastor of St. John’s. He would remain at St. John’s for fourteen years until his death in 1953. It was during Fr. Choby’s tenure that he parish enjoyed many improvements to the church’s physical plant including the installation of a pipe organ in October 1941. The organ, produced by the Wicks Organ Company of Highland, Illinois, to this day remains the only pipe organ in Central City. It was also under Father Choby’s pastorate that the first, and only, Catholic school opened in Central City. St. John’s School opened on Monday, August 30, 1943 with an enrollment of ninety-nine pupils. When the new church was erected in 1922 provisions were made for the building to house a school. 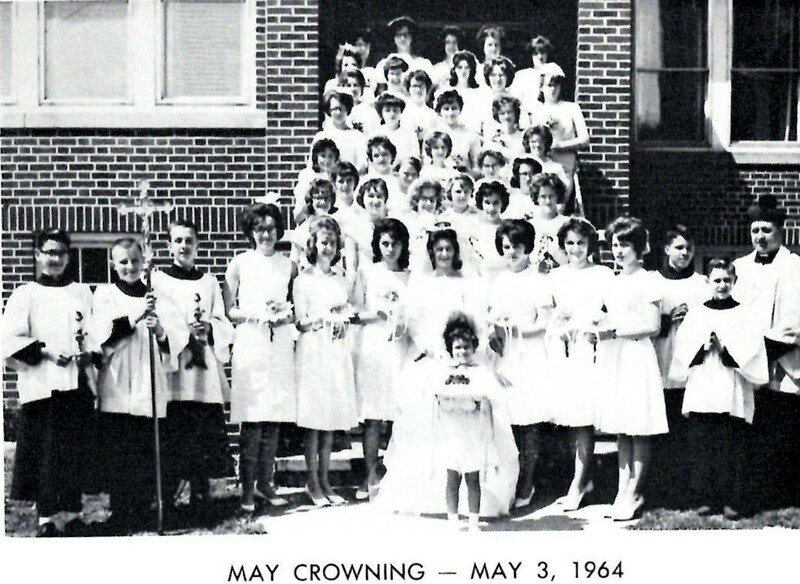 A convent was purchased near the church to house the Dominican Sisters of Oxford, Michigan who staffed the school. The school closed after the school term of 1952 with a registration of 122 pupils at the time of its closing. On October 1, 1953 while getting ready to celebrate morning Mass, Father Choby collapsed on the stairway leading to the sacristy and died of a heart attack. 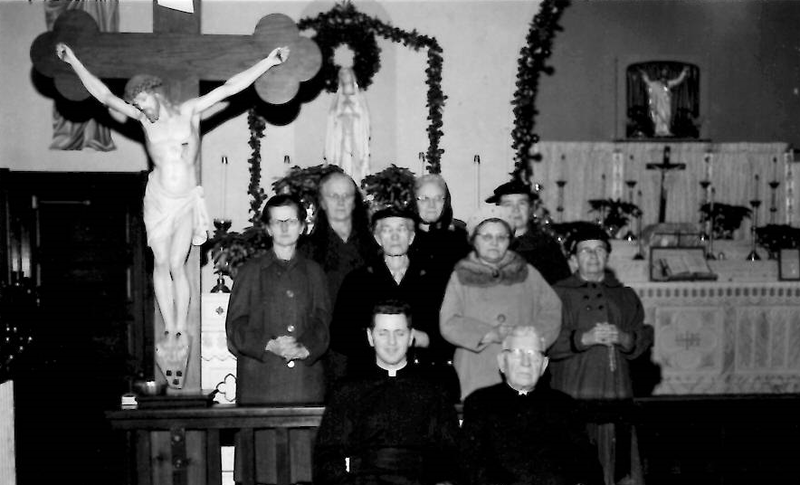 As a one of the smaller Slovak ethnic parishes in the diocese, St. John’s had a number of pastors who would later be transferred to larger Slovak parishes. Following Fr. Choby’s death Fr. John Marnecheck and Father (later Monsignor) John Golias served as pastors before being transferred elsewhere. 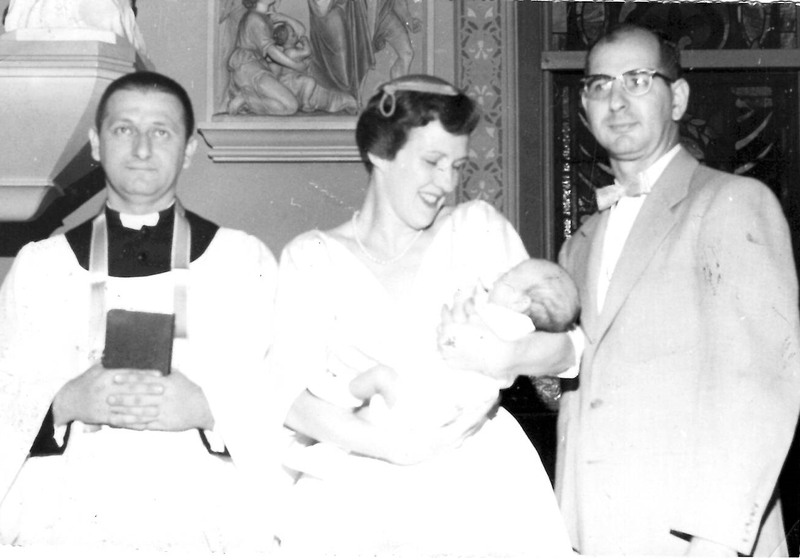 In 1961 Father David Koshko was assigned to St. John’s. During Fr. Koshko’s tenure the parish installed a new altar of sacrifice, the interior of the church was painted, and other physical improvements to the parish were made. In commemoration of the 50th anniversary of Our Lady’s appearance at Fatima in 1917, a Fatima shrine was erected which remained until it was rebuilt in honor of the 100th anniversary of Fatima in 2017. Father Koshko was transferred in 1968. 1968 saw the arrival of Father Sylvester Bendzella. Father Bendzella’s tenure at St. John’s proved to be the longest in its history (15 years). A native of Barnesboro in Cambria County, Father Bendzella attended St. Mary Seminary in Baltimore and after twelve years of preparation was ordained a priest in 1959. A devotee of the outdoors and all things Slovak, Father Bendzella is probably best remembered in Central City for his love of parish maintenance projects. Not only did he fire the coal boiler daily during the winter months and dug graves in the parish cemetery, but he also removed and replaced the church roof on his own. While the height and pitch of St. John’s roof would intimidate all but the fiercest of steeplejacks, Father Bendzella undertook the project in with fearless devotion. After fifteen years of dedicated service to the parish Father Bendzella was replaced by Father Lawrence Lacovic in 1983. A beloved figure by the parish, Father Lacovic was noted for his intense pastoral activity. In the late 1980s, the school classrooms in the church basement were removed and a new hall was constructed in their place.